Once upon a time there was a small village in India and there was a middle aged lady who lived with his only son. One day the son of the lady went to a far off distant place to start earning his bread and butter. So this kind hearted lady started living alone all by herself and choose to wait for her son to come back in the native place. Many months went away but there was no news or letter from the Son. This used to worry to her a lot, as to where his son has gone to work and earn money. She was illiterate to write to him or travel to his destination. In the meantime, there was a beggar who used to wear very dirty and torn clothes. He used to go from every door to door and used to ask for food from the local people . In this small village, few people were very kind hearted to give him food, vegetables fruits ,clothes and even a place to sleep in the night but also there were handful of very cruel people also who used to hate him ,hit him and make him run away. He used to everyday come to the lady and beg for food. The lady was a very large hearted woman ,so, she used to make a fresh baked chapatti and feed the beggar everyday. This continued for weeks and months. The beggar was very happy after receiving the chapatti but he used to take the chapatti and leave the house immediately without consuming it or saying a word of thanks. Several months passed away and the beggar everyday came at a particular time of the day and took the fresh baked chapatti and went. Time flew and the poor lady was getting more and more worried as there was no news of her son. This worry and stress was carrying anxiety in her as she was in a very helpless state. Along with it, she was fed up of the beggar who had made it a regular affair to come everyday and stand outside the hut to ask for food. So, one fine day the lady decided to get rid of the problem and kill the beggar. One day the lady added poison to the chapatti to kill the beggar as she was very angry and frustrated. As the sunset down, towards the evening time ,as a routine the beggar came to the ladies house and ask for food as a routine ritual. 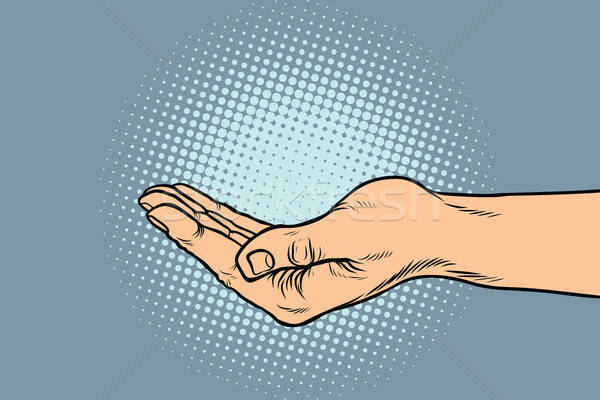 the lady though picked the chapatti in which she had put in poison but her conscious inner voice did not allow and instead of the chapatti she gave the fruit to the beggar and he left. She then threw the chapatti in the garbage and asked for forgiveness from the almighty that she was about to kill an innocent poor man. That very night a miracle happened, it was a dusky dark cold night and there was a knock at the door. Initially the lady got frightened because she used to stay alone but she gathered some courage and opened the door and to her surprise she saw her son standing. Out of happiness ,she started hugging and kissing the son and bombarded him with a million questions ….where were you ….what were you doing …why did not you write a letter to me and so on. She started weeping seeing his condition. He was not recognisable wearing dirty ,filthy, torn clothes and he appeared as if is not had a bath or brush since ages .He was bleeding from the joints .There were lice in his hair. His shoes were broken . She wept and asked him, son what happened you, you are such a handsome little prince of mine ,you are my apples eyes… what happened to you? who did this to you? The son replied ,mother I am very hungry, please feed me something. it has been so many days I have not eaten anything. the lady got up and prepared awesome mouth watering dinner for her son and give him warm water and fresh new clothes to have a bath and to brush . So after having a bath and brushing and after having a full stomach meal ,the two sat down for some chit chat. The son lay down and he put his head in the lap of the mother .While he was laying and he started telling his mother that the place where he went to fetch a job was very nice initially but later there was some War which broke and people started fighting with each other and when he was trying to come back to his native place, he was robbed by people. They took away all his money and clothes and all his belongings . He nearly escaped death and used to walk miles and miles everyday to reach back home. He kept narrating and with great patience the mother listened. He said, mother I had no food to eat nor drink. but i thank God .God is everywhere and he send me an angel .When I was walking everyday for miles together ,there was a beggar who used to come to me and everyday use to give me one chapati and mother it was a freshly baked just of the size and the taste and the texture as you use to cook everyday .It reminded me of you and gave me strength to keep moving. The beggar used to find me and used to make me eat that one chapati . The mother asked son when did you meet him last . The son replied, i saw him yesterday last as today he did not meet me .I don’t know where has he gone otherwise I would have brought him home to meet you. He was taking care of me like an angel ,as if he was not a beggar but it was my father from heaven who saw my condition and who came down to help me with that one chapati everyday .God bless the poor beggar and he went off to sleep. Hearing all this story ,the mother was caressing the sons hair and head and her tears were rolling down her cheek and in her heart she was saying ,oh ! god ! that Angel , the beggar was the one ,the same man who used to come and he used to come and take the chapati from me. He was a miracle god who did not eat the chapati but he gave the chapati to my son. I am so ashamed of myself that today I had thought of killing him by giving the poison chapati . Had I not given him the Apple but the poison chapati ,it would have gone to my son and my son would have died. Oh my lord !! I am very sorry .I seek forgiveness for my evil thoughy.I will never do this again. Today , I understood that there is a right saying, which is…. the Karma -what goes around comes around . and I did not know that I was about to kill my son and not the beggar . The Almighty God with folded hands I ask for your forgiveness and I promise that in my life I will never do this again . please bless the beggar who was the angel of my son and me. Moral of the story : Karma -what goes around comes around .